Prior to joining Fox, Ian was co-chair of the white-collar practice at Blank Rome for more than three decades. Before that, he was an assistant district attorney in Philadelphia County, a special assistant U.S. attorney and an assistant U.S. attorney in the Southern District of Florida. Ian serves as special projects chair of the American Bar Association Tax Section. He is a member of the Board of Governors of the Florida Bar, where he serves as chair of the Investment Committee. 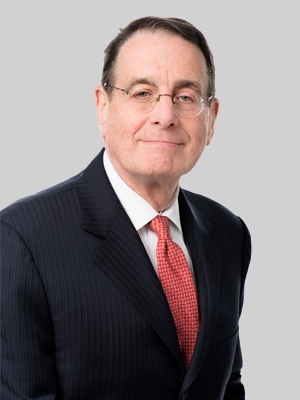 Ian also serves on the boards of directors of the Citizens Crime Commission of the Delaware Valley, Historic Philadelphia, Inc. and the Madlyn and Leonard Abramson Center for Jewish Life. He is also the secretary and a member of the board of directors of the Mann Center for the Performing Arts. Additionally, Ian is a member of the Brandeis Society, the Pennsylvania Horticultural Society, the Philadelphia Museum of Art and the Franklin Institute, among other local organizations. Ian is the co-author of the two-volume treatise Tax Fraud and Evasion, has appeared on CNBC's Money Talk and CNN and is called upon frequently to comment on tax issues. He was elected in 1995 to the American College of Tax Counsel and is an adjunct professor at the University of Pennsylvania Law School. Represented the former CEO of a public company charged with securities/insider trading/tax fraud in a nine-month federal court jury trial. Served as broker in a suit based on a tax sheltered investment. Served as an outside member of Board of Directors international litigation arising out of a bankruptcy proceeding. Represented an accounting firm in a trans-border securities litigation. Advised an accounting firm in a malpractice litigation involving tax and related accounting issues. The increasingly complex area of tax law in the U.S. can cause a variety of legal setbacks for any business. The more notable the tax controversy, the more roadblocks that can be created between a company and its success. Ian addresses the latest developments in all aspects of tax controversy matters on the firm’s Tax Controversy Sentinel blog.